Rich Alati is sequestered in a dark room for 30 days. Rory Young talks about how it came to be. Some are fascinated, some are sickened, some think it impossible and some believe they could do it tomorrow. 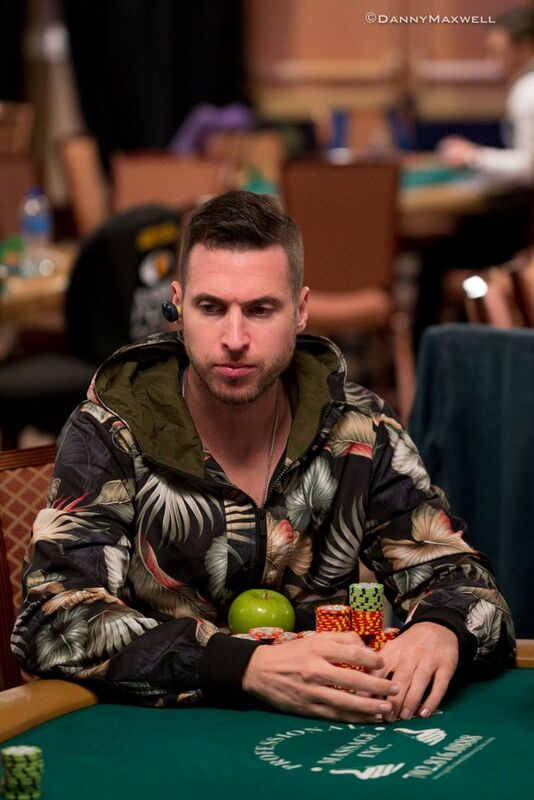 When it comes to the already infamous $100,000 prop bet that has effectively sentenced a previously unnamed poker player to 30 days in solitary confinement, nearly everyone in the poker world has a reaction. As scuttlebutt about the rumored bet snaked through the poker community, those reactions inevitably made their way to at least one of the principles of the prop. With the cat mostly out of the bag, Rory Young reached out to PokerNews and agreed to tell his side of the story. He shared additional details of the bet itself, booked against one Rich Alati, and spoke about its moral, legal and financial implications. 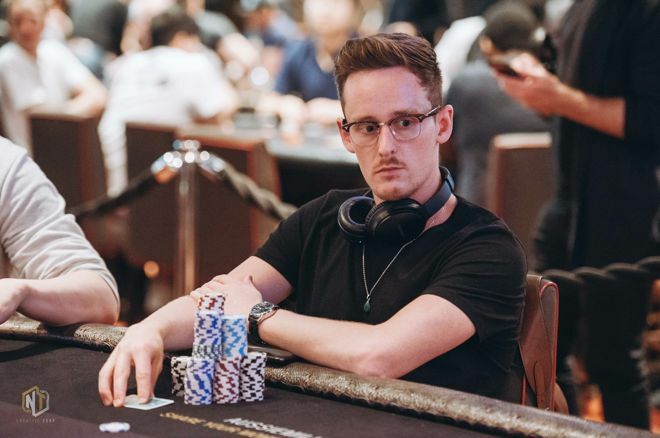 A native Australian who comes from an online poker background, Young has recently been grinding high-stakes live cash games at Bellagio. While killing time in between hands at the tables, he enjoys engaging in games of Lodden Thinks at the table. For those not familiar, the infamous gambling game involves different parties guessing what a third party would answer to a question with a numerical answer. It's not important what the real-life answer is, only how the person acting as the "brain" would respond. "For me, this is the bet of a lifetime." "This is one of my go-to Lodden questions," Young said. "How long someone thinks they can stay in a bathroom with no light, sun, human contact. I think people overestimate their ability to do this. I've done a lot of research into sensory deprivation and stuff like that." One day, Young walked into the Bellagio and saw the table sporting his usual stakes was full. Another player was also waiting for a seat, hanging out with $40,000 in front of him. That player, Rich Alati, agreed to play heads up with Young while they waited, and the two got to talking. Rich Alati is putting his mental and physical well-being at risk. "He appeared to me to be an outgoing, sociable dude," Young said. "We got along quite well from the start." Later, the two were again seated at the same table. "I asked him the question and he immediately answers, 'Oh I can easily do that,'" Young recalled. Young asked him how much it would take, and Alati said his baseline number was at least $50,000, maybe $100,000. Young kept his poker face and said he'd look into working something out. Inside, he was doing backflips at the thought of booking the bet at even money. Many were incredulous that Alati didn't get favorable odds on his action. "It didn't even cross his mind," Young said. In poker terms, Alati snap-called. The two escrowed $5,000 each to book the bet, with the understanding that the money would be forfeited should either party back out during an agreed-upon six-month timeline. The bet went onto the backburner for both players as they fell back into their usual routines grinding. Eventually, though, with the holidays looming, Alati said he wanted to be in and out of the room by Christmas. Young and Alati spent about a month going back and forth on the terms. Alati would remain in a dark room, chosen and set up by Young. He'd have no access to light, human interaction or any electronic entertainment. Food would be delivered at randomized intervals every three to six days, with six days worth of provisions given at a time. Alati would have a yoga mat and enough room to exercise but not much else. "I asked him the question and he immediately answers, 'Oh I can easily do that.'" Young found a suitable location and set everything up. The house he chose had a master bedroom with a huge archway into a large master bathroom that would be roomy enough for Alati to move around in. "I had my guy shutter it and make a little door in the bottom," Young said. "We did our best to soundproof it. We childproofed it — no sharp surfaces." "Most interesting was a liability clause. We both signed a waiver that protected each other from being sued by the other party." The very notion that two individuals would need to get lawyers involved when booking such a bet hints at some of the possible issues with it, which a number of people immediately raised when the situation was unveiled by Danielle Andersen and later cross-posted to TwoPlusTwo by Allen Kessler. A person could suffer lasting mental and physical damage from attempting the crazy feat. Alati, to Young's knowledge, has no experience in extreme isolation. The closest he's come is participation in a silent yoga retreat. Young himself, as someone who has read up on the effects of isolation, knows how damaging this could be. When asked how he feels about the moral ground he's on, Young confirmed he's thought a lot about it but feels comfortable with his position. "It's very rare for someone to back up their talk. That's what impressed me about Rich. He's willing to put his money where his mouth is." "If it's two consenting adults where it doesn't hurt a third party, why does anyone have any issue?" he asked. "I could see if one of the parties wasn't stable enough to make a coherent decision themselves, but that's not the case. I would make the bet again." For the Aussie, it's simply about making money. Without divulging too much about his finances, Young indicated $100,000 would be a very handsome win for him. He feels the same way about Alati, guessing that "it's a decent percentage" of his net worth. "The stakes are high, for sure," Young said. "Something I've found playing live cash in Vegas is a lot of people want to run their mouths. It's very rare for someone to back up their talk. That's what impressed me about Rich. He's willing to put his money where his mouth is." While he may be impressed with Alati's gumption, Young believes his edge to be sizable. Everything he's read on isolation's effects on a person suggest Alati's chances to be far slimmer than even money. He believes the true odds are between 5-1 and 10-1. It's a stance many agreed with upon reading about the prop bet. "For me, this is the bet of a lifetime," Young said. "He's living pretty comfortably," Young said without a hint of irony.